A gentleman in Long Beach, CA decided to celebrate his 29th birthday by galloping down a freeway on his white Arabian horse. And this was after he celebrated by getting drunk. 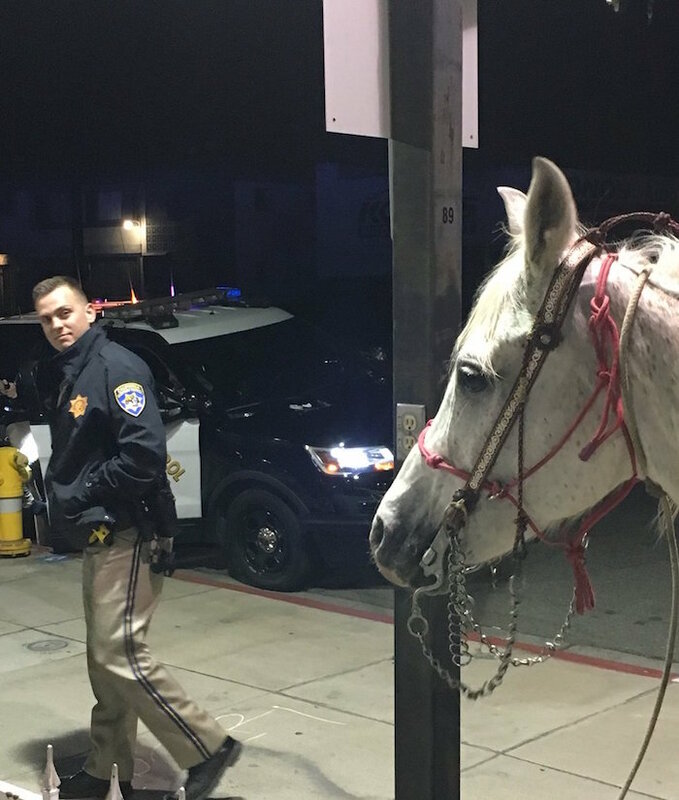 CHP officers responded around 1 a.m. Saturday to a report of a man riding a white horse on the eastbound 91 from Paramount Boulevard to Downey Avenue. Officers found the man on his horse after he had exited at Downey and rode into Bellflower. They stopped the man and administered field sobriety tests, with results of .21 and .19 percent - or more than double the legal limit. The man, Luis Alfredo Perez of Placentia, CA, was arrested and charged with a DUI. His horse wasn't hurt and was handed over to Perez's mother. Who won the horse race? Bofa. Bofa Deez Nutz. The Wild Inside follows Arizona prisoners in a program where they work to break wild horses rounded up from the desert.